This is a reminder of some of the paradoxes of road design. Provide bigger lanes and more lanes and cars tend to drive faster and traffic increases. Narrow the lanes and drivers have to slow down and pay more attention, leading to improved safety. 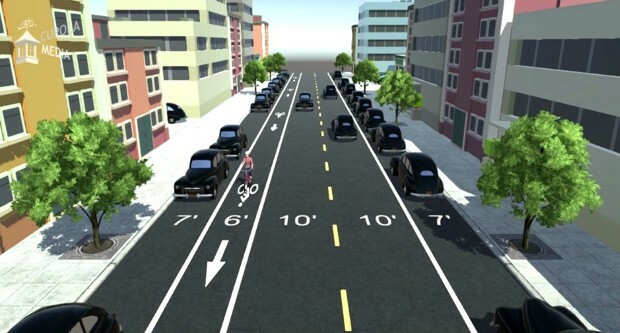 And all of this might actually free up space for other uses – like bike lanes or more pedestrian space. If you want more on such techniques, read Speck’s Walkable City. This entry was posted in Sociology, Transportation and tagged driving, Jeff Speck, road diet, urban planning. Bookmark the permalink.